Ursula Plöckinger, MD, PhD, Professor of Internal medicine, accredited endocrinologist, diabetologist and physician for Quality in Medicine is the senior consultant and head of the Interdisciplinary Centre of Metabolism: Endocrinology, Diabetes and Metabolism as well as of the Centre of Excellence for Rare Metabolic Diseases in Adults at the Charité University Medicine, Berlin, Germany. 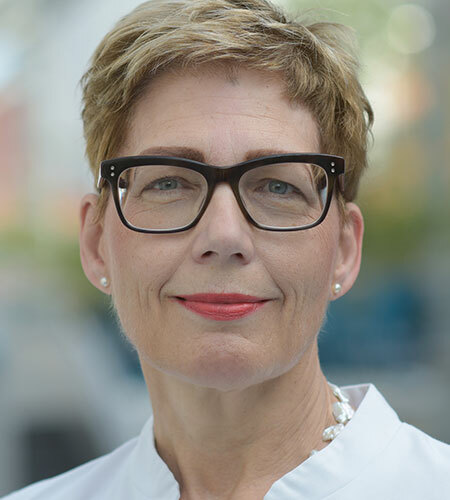 Prof. Plöckinger earned her medical degree and doctorate at the Free University in Berlin, completed her Residency at the Department of Endocrinology at the University Hospital Benjamin Franklin, FU Berlin and a postdoctoral fellowship with Prof. Scanlon, Cardiff, UK. Prof. Plöckinger has extensive expertise in rare endocrine and metabolic diseases, both in basic research and clinical care. She initiated and coordinated many German and European Registries on rare diseases (Acromegaly, Neuroendocrine Tumours and Peptide Radio Receptor therapy in NETs). Prof. Plöckinger is member of many scientific societies and is the one of the coordinators of the Work-package 4: Cara pathways and transition in rare metabolic diseases of the European Reference Network for Hereditary Metabolic Diseases, MetabERN. Prof. Plöckinger published more than 150 international peer reviewed clinical and scientific papers, book chapters and reviews.